LINE-X® has improved spray-on bedliner protection at the molecular level. LINE-X® PLATINUM uses a pure polyurea technology that combines strength and flexibility to create the toughest bedliner on the market. 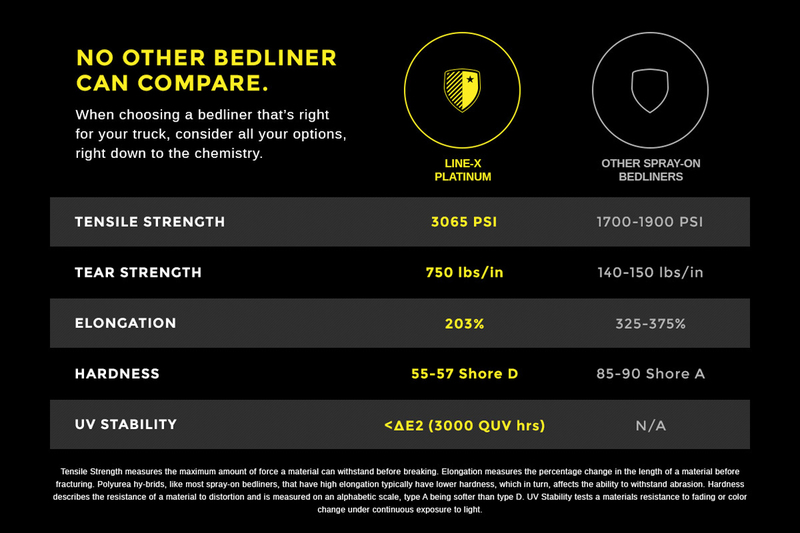 LINE-X® PLATINUM is the total bedliner package — toughness, durability, and UV stability.